Sometimes I think you can’t outdo something you did when just a kid. Drawn at school (Grade 4, Albert State School, Maryborough, Q. Australia in 1962). 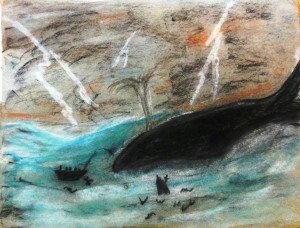 Pastels on paper.